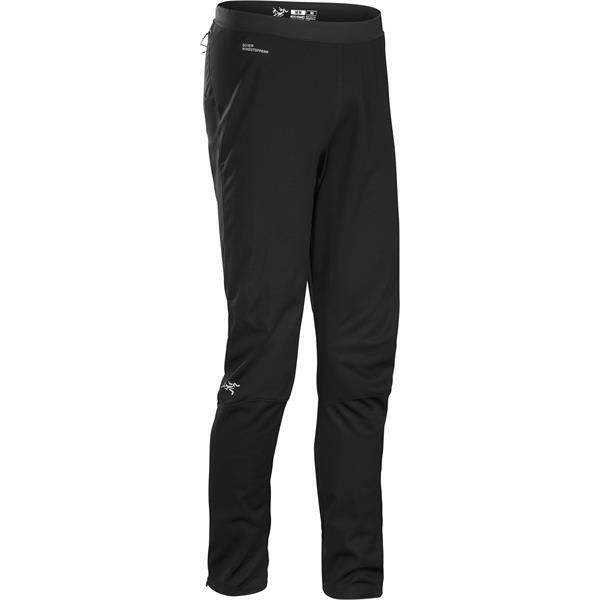 Hit the trails in comfort and style this season, with the 2019 Trino Gore Windstopper Tights from Arc'teryx. These men's performance tights feature a solid black design, with air permeable thermal fabric that is designed to last and protect you from the elements. High-end DWR waterproofing helps keep you dry, while stretch-knit fabric in an articulated fit ensures excellent mobility and comfort. A drawcord lets you easily adjust waist size for the perfect fit, and zippered pockets provide a convenient carrying option. With these tights, you'll be ready to conquer any trail in any weather.